In retrospect, the signs that this was not a familiar research conference had been there all along: the list of participants and their roles within organizations, the sessions on the periphery with the trade booths and café in the center, the prominence of the word ‘disruption,’ and the fact that very few of the talk titles even wasted time with anything as tangential as a semi-colon! This was a space where speed, efficiency, ingenuity and optimization were the dominant themes. Although, I didn’t set out to explore the conference’s form as data, once the ethnographic brain is switched on, there’s really no turning it off. This forced me to recognize my own biases, as well as reflect on relationships and unpack questions such as why the story of research— a story that is so critical to my own practice— played such a peripheral role in this space. 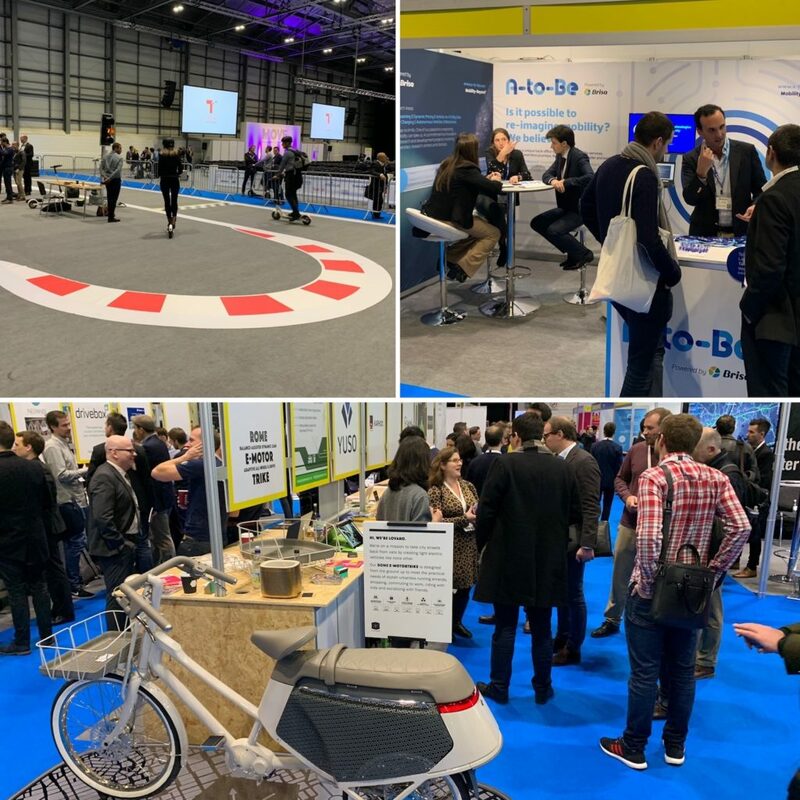 I was in London to make sense of the future of mobility and transportation landscape, by taking part in the Move 2019: Mobility Re-Imagined event. It was a hybrid of a conference, trade show, and a speed-dating event for investors and innovators. The field is at a critical juncture in its evolution and the creative ingenuity being applied to the diverse challenges of efficiently and sustainably moving people and goods into, out of, within and between cities has broadly captured the public imagination, my own included. Having done significant global ethnographic fieldwork with the Future Lab innovation team at the Renault-Nissan-Mitsubishi Alliance on social aspects of the future of mobility I was eager to see how others were talking about this and its many related themes. The great hall crackled with a tense energy, strung taught between the breathless optimism and the swagger on the one side and a tangible underlying sense of doubt and anxiety on the other. Bets were being placed on techno-futures all around us, but would they prove to be the right ones? “Change mobility and you will change the world,” a keynote speaker from the Boston Consulting Group implored us, and many nodded in agreement; but the weight of the moment hung over the room like a cloud too. There was a sense that the near future would reveal both winners and losers. But nobody was going down without first making their case. Game on! The players formed an eclectic and impressive group of thinkers, including creative and agile innovators, eager and/or panicked investors, and legacy players able and willing, however grudgingly at times, to re-invent themselves to what they see as a changing marketplace. But the challenges they addressed are often profound and include population growth and urbanization, connecting new technologies with legacy systems, slow-moving regulators, the need for sustainable energy sources, storage space for unfathomable amounts of data and so on. And those are just some of the design and engineering challenges! More than 360 speakers were organized into eight different streams, with titles like: Business Models and MaaS (mobility as a service), Urban Supply Chains, Autonomous Vehicles, Smart Cities, and so on. The presenters spanned tech start-ups, government agencies, big automotive OEMs (Original Equipment Manufacturers), energy companies, financial services, logistics and many other domains. The talks themselves, rolled out in 25 minute increments and in nonstop succession that left little time for discussion (or reflection!). A lot of the talks followed a familiar pitch-like formula that began with identifying a big problem; then explained how the speaker’s organization had decided to address said problem; indicated where others had missed the mark (this was not universal); and closed by indicating that the work they had described was just the beginning and that they were building off of those early successes and expanding into new areas and new partnerships. The formula of these talks/pitches felt like it played into the impatience and urgency of the event that sometimes felt to me like a VC meets start-up courtship dance. Discouragingly, from my perspective, the path of research to insight, understanding and validation, rarely got much, if any, air time in these talks. I later found that conversations of substance and often real candor were still happening throughout the event, but in the cafés and trade booths around which the conference rooms were situated, and rarely at the talks themselves. In spite of the pace and the technology-first focus, bigger picture thinking did emerge, which was a pleasure to see as an anthropologist. There seemed to be something inherent to thinking through these problems that necessitated an interconnected and systems-oriented perspective–a rarity in many other consumer spaces. However, while the idea of systems was invoked, they were often discussed in fairly limited ways and were primarily construed of as complex “problems to solve for”. The vast and varied complex human beliefs, values, practices and experiences that animate these systems in the real world was disappointingly (from my perspective) often absent from the conversations, beyond occasional references to users and subscribers. Surely, there were more flies in the ointment of progress and future modeling than just software glitches and funding flows, right? In addition to talk of systems and beyond the expected debates about the ideal energy source of the future (hydrogen, electric, hyperloop, human power etc. ), the market readiness of autonomous vehicles, the tension between open-platform and protectionist practices, and the unending discussion of universal versus local solutions that extends well beyond automotive, a number of distinct culturally rich themes also emerged. After the conference ended I had to figure out how to get to Heathrow for my flight home. I decided to take one of the ride-hailing services I had just heard about that wasn’t yet available where I live. 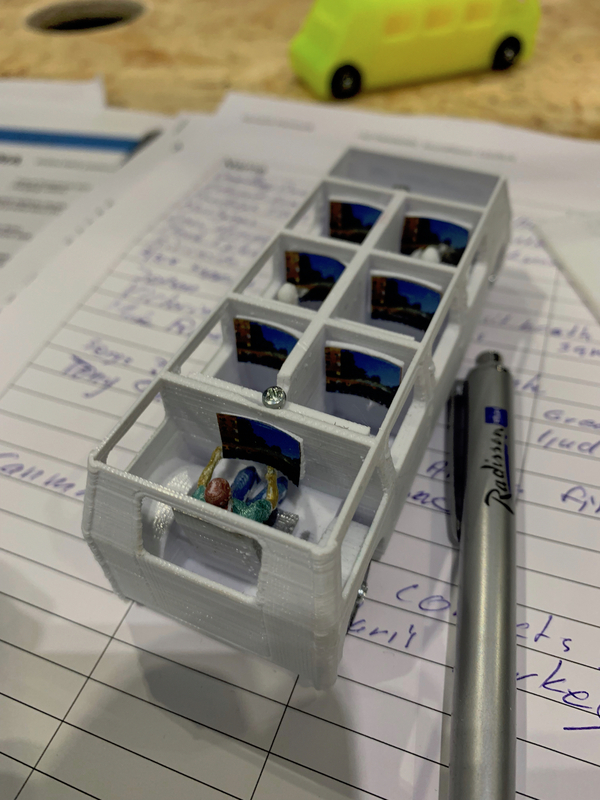 I was compelled by their model of using small vans, dynamic routes and pooling platforms to connect with existing transit systems. I was also compelled by their £10 off coupon! In practice, the experience was not as bright shiny and different as I had envisioned and it ended up being indistinguishable from taking a Lyft, back home. There’s probably some lesson there about hype, fancy websites, and slick apps, but —given what I’d just witnessed at the conference— who has time to contemplate it? Since I was the only rider, I fell into a conversation with the driver, a Bulgarian mechanic who had lived in London for 10 years. He did ridehailing as a side-hustle before and after his regular work. As is so often the case, when you’re driving around with people, we fell into conversation. He told me about growing up in Bulgaria before the fall of Communism and about the good and bad of that time and he talked about what a struggle it was to make ends meet in London. He lamented the lack of interaction he had with his neighbours, compared to apartment life in Bulgaria, attributing the London reserve to the fact that people had to work too much. Despite the struggle, he and his family were happy in London and he was proud that his daughter’s English was now better than her Bulgarian. When talk turned to ‘Brexit’ he shared his fears that his family would one day be deported even though they had come to the UK on a legal work permit and had built a life here. Connecting the uncertainty and unfairness of this potential uprooting to his work life, he told me that until recently he had worked for one of the bigger ride-hailing companies until they had suspended him, without explanation or recourse, even though he had an excellent driver rating. Unfair but not unfamiliar was his assessment. I left his car, with a warm hand shake and a heavy slap on the shoulder. The interconnected poetics of the fieldwork experience struck me, as they always do, by the ways in which the big themes can weave together with small details and cultural threads, always grounded in the lived experiences of people. In this vein, I was struck by how closely his personal experiences of nostalgia, shapeshifting and innovation mirrored things I had seen on the floor of the conference. As I had found there, his hope and optimism for the future was counter-balanced by uncertainty, anxiety and doubt. And just as some of the most exciting innovation promised frictionless and optimal movement of people and objects, his story showed ways in which these ideas could easily be complicated in myriad ways from the personal to the geo-political with a dose of human/machine frustration thrown in for good measure. Despite it all, new mobility didn’t always feel all that different from old mobility and bigger social themes like fairness, power, access and agency remain, no matter how we design the future. Having said that, change is definitely in the air and re-thinking the familiar and solving for the future remain vital aspirations. Speed, optimization and efficiency are all important values in the development cycle of goods and services, but they do not overrule the critical importance of making sense of social messiness, privileging inclusivity, and seeking cultural alignment for technological innovation. Not only can these fast and thick approaches to thinking complement one another, they can also benefit from the productive ways that they push one another. The possibility for inclusive and socially-grounded mobility techno-futures can be there for us all, but not without keeping both the human and the machine in sharp focus. For those with a deeper interest in mobility, check out this addendum for some of the talks that really piqued my curiosity with their possibilities and/or spoke meaningfully to social, behavioral, human and cultural factors. Robin Chase, a co-founder of Zipcar, introduced a sense of social responsibility in describing a manifesto for inclusive design in the mobility space. Tom Kirschbaum the COO of Door2Door a software company that provides a white label software platform for multimodal mobility services spoke about the importance of local knowledge, rural mobility, and attending to the emotional impact of new technologies. Presenting an atypically moderate point of view, he also urged the audience to consider mobility transformations over disruptions as a guiding metaphor. Chantal Ambord of BlaBla Car, an inter-city ride-pooling platform that allows riders and drivers to set the level of social engagement that they want (bla, blabla, or blablabla) was a model that got my mind spinning on multiple levels. Vilhelm Hedberg of Ekar ,the first car-sharing service in the Middle East and Syed Gilani of Safr, both talked about the distinct impact that women, along with other cultural forces, are having on the industry. A provocative talk by the spatial economist and urban mathematician Yuval Karmi outlined the potential for humans to bring out the worst in robots amused as it informed. “The inventor of the safety elevator wasn’t the one to imagine the skyscraper”, he warned us, when talking about unexpected consequences. Markus Seidel of the BMW technology group in China described a future imagining of an E3 urban transportation system of elevated and covered e-bike roadways. As a general rule, the Cycling and Active Mobility stream seemed to feature more speakers who were both personally and emotionally invested in the adoption of their services, which served as a balm to some of the other talks which could come across as overly slick.